← A Dangerous Precedent: Am I Expecting Too Much of My Students? But what of the future? 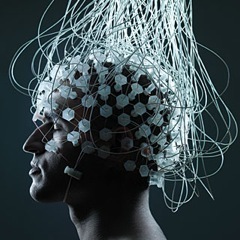 What of implanted connections that can map entire processes and skills into the brain? What of video overlays that are invisibly laid over the eye? Very little of what we use today to drive thinking, retrieval, model formation and testing will survive this kind of access. It would be tempting to think that constant access to the data caucus would remove the need for education but, of course, it only gives you answers to questions that have already been asked and answers that have already been given – a lot of what we do is designed to encourage students to ask questions in new areas and find new answers, including questioning old ones. Much like the smooth page of Wikipedia gives the illusion of a singularity of intent over a sea of chaos and argument, the presence of many answers gives the illusion of no un-answered questions. The constant integration of information into the brain will no more remove the need for education than a library, or the Internet, has already done. In fact, it allows us to focus more on the important matters because it’s easier to see what it is that we actually need to do. And so, we come back to the fundamentals of our profession – giving students a reason to listen to us, something valuable when they do listen and a strong connection between teaching and the professional world. If I am still teaching by the time I’m in my 70s then I can only hope that I’ve worked out how to do this. I propose: The benefit of memorising facts isn’t in posessing those facts; it’s in what the passage of those facts through your brain does to you. I think this is already underrated, and I think we’ll continue to need that benefit regardless of whatever information retrieval systems are available.